Delphine has a rare talent. She sees secrets. Not only does she see someone&apos;s secret she can draw that secret for all to witness. These are her shadow portraits. Her fame grows and she makes her living as entertainment at parties. Her life is going great. She has a fiancé and makes her own money. Until, one of her paintings is so scandalous it leads to tragedy. Delphine is an amazing character. She is smart and creative. She can be a little dramatic and she is very dependent on her brother. Oh, did I mention her brother is her twin? He really uses this to his advantage in many ways. He is determined to use Delphine&apos;s unique talent to find an ancient book by Nicolas Flamel. The story revolves around finding this ancient book. Delphine mystically paints all these ancient rooms in the chateau. These rooms and their history kept me captivated. I felt like I was finding buried treasure! Then the TWIST! No one does a twist like M.J. Rose. 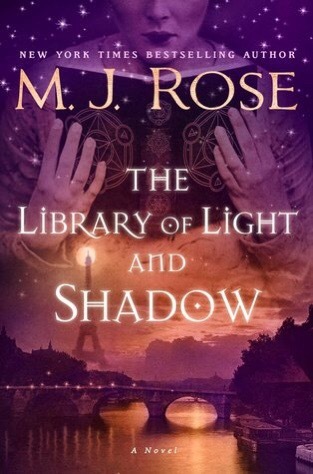 I love M.J. Rose. She has been a favorite of mine for quite a while. Her books just take you everywhere. I enjoy how she weaves history and mysticism throughout her stories! It&apos;s such an adventure to read her creative novels. This is the third book in this series. I will say it is probably my least favorite of the three. But, I still loved it!! It was just predictable in places. (This is my problem with series). I received this novel from Netgalley for a honest review.